It’s week 10 of my 12 week series of The Summer of Salads with only 2 more weeks to go. 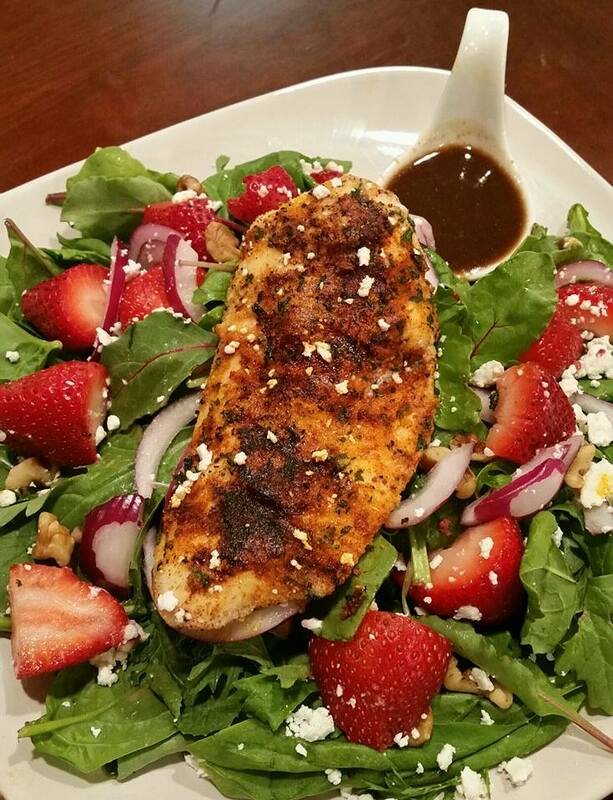 Featured is the Strawberry, Feta, and Grilled Chicken Salad over Power Greens with a Honey Balsamic Vinaigrette. •In a jar, mix and shake well all of your dressing ingredients. Refrigerate for 30 minutes. •Top it with the red onions, strawberries, and walnuts. •Place the chicken on top of the salad.